The most important work in When Silence Falls, Cara Pinchbeck’s impressive exhibition at the Art Gallery of New South Wales, is the smallest. Judy Watson’s The names of places is a rolling scroll of sites of massacres of Aboriginal people, presented on an iPad. It is the visualisation of a collaborative research project and will soon be a fully fledged website, but not yet. The point Watson is making has also been made by journalist Stan Grant. From the northern tip of Cape York to the back woods of Tasmania, from the east coast to the far west and the land in between, oral and written histories of both European and Aboriginal people tell tales of murder. These narratives are confirmed by archaeological evidence. There is a memorial to honour those killed at Myall Creek, one of the few massacres where the perpetrators were punished, but for the most part modern Australia does not know the true history of the land where we tread. In the absence of official memorials, artists are showing the way. 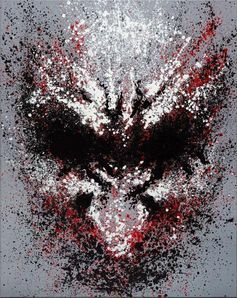 Ben Quilty’s Fairy Bower Rorschach (main image) manages to show both the beauty and the sinister history of the Southern Highland’s beauty spot where many were killed. Judy Watson’s a picnic with the natives – the gulf places a record of known massacre sites onto a reworking of Matthew Flinders’ map of the Gulf country. The title comes from the killers’ euphemism for massacre – “picnic with the natives”. 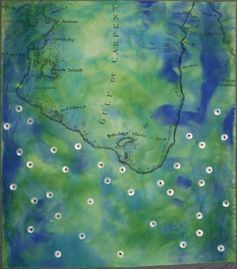 Timmy Timms, Rusty Peters and Paddy Bedford – all from the Kimberley – paint the places where relatives were killed en masse. Their paintings might trigger the nation’s conscience. But Australia can do better. Other countries where great crimes were committed have benefited from a cathartic examination of the past. Germany’s current position as a benign but powerful economic, cultural and political force cannot be separated from the way it has acknowledged past crimes. Berlin’s Memorial to the Murdered Jews of Europe is on the actual site of the Nazi Party Headquarters. Leipzig’s memorial is empty bronze chairs marking the site of a synagogue destroyed at Kristallnacht. The little town of Osnabrück, home of Erich Maria Remarque who wrote All Quiet on the Western Front (1928), has a memorial that lists by name the Sinti (gypsies) who were killed. 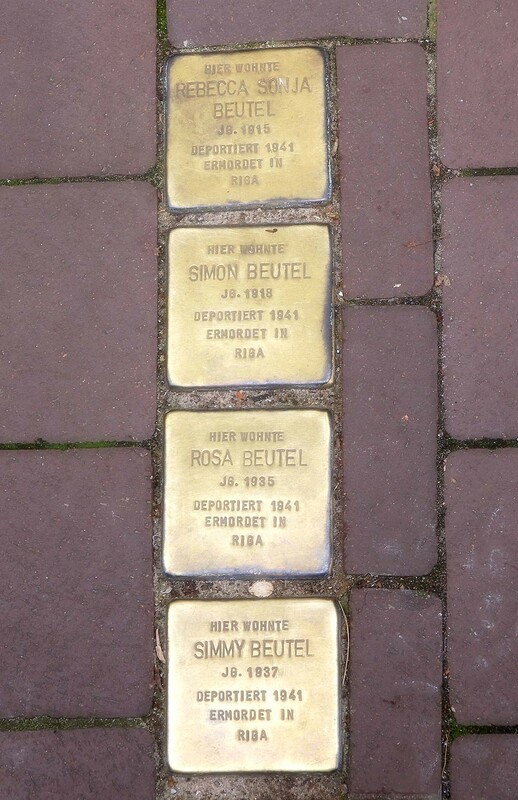 Private citizens sponsor Stolpersteine, small brass plaques embedded into paving stones to remember the dead. This widespread understanding of the consequences of hate did not happen easily. The story is best told in a fictionalised way in Labyrinth of Lies (Im Labyrinth des Schweigens), the 2014 film by Giulio Ricciarelli. The plot involves an idealistic prosecutor seeking to convict an Auschwitz camp commandant. But the twist comes when he realises almost all the older men he knows, including most senior police officers and his own father, were a part of the Nazi war machine. There is a certain liberation in discovering unpalatable truths. Germany does public art exceptionally well. In all fairness, Australia is better at recognising its Aboriginal history than it once was. Aboriginal soldiers are now recognised by the Australian War Memorial, but only as long as they fought against Japanese or Germans. Purchased with funds provided by the JS Watkins Memorial Fund 2001 © Rusty Peters. Warmun Art Centre. 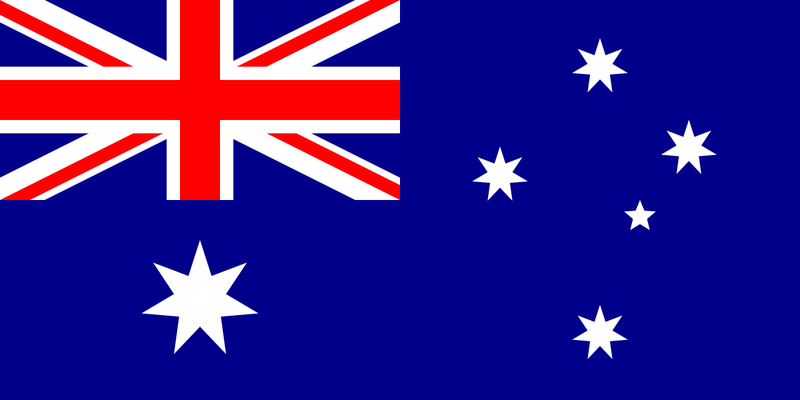 Licensed by Viscopy, Sydney. 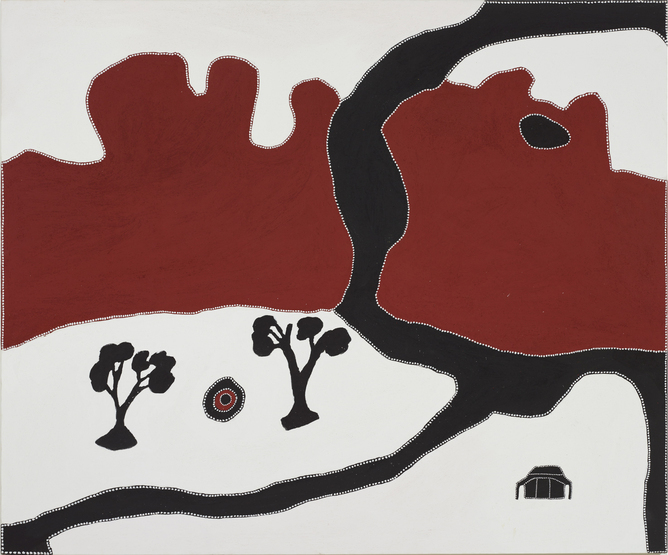 Image courtesy of AGNSW. There is no honouring of the brave resistance fighters: Windradyne of the Wiradjuri, Yagan of the Nyoongar and Pemulwuy of the Bidjigal, whose head was sent to Sir Joseph Banks as a trophy. They all deserve a place in our national war museum. Most importantly, places where people are known to have been killed need to be publicly identified and the stories of each and every massacre marked. The great amnesia has served to convince many Australians that we have no connection to the crimes of the past, yet ending the silence and recovering memories is a prerequisite for national healing. Cara Pinchbeck’s vision in When silence falls is greater than the site specific crimes against Aboriginal people. Fiona Hall’s Slash and burn comprises video tape from films celebrating the machismo of military force, elegantly crocheted into body parts. Courtesy of the Art Gallery of New South Wales. Even more unnerving is Vernon Ah Kee’s Brutalities 9, a work made partly as a response to the Armenian genocide and shown at the Istanbul Biennale. This shapeless face of blood spattered horror is not about specifics, but rather about the way killers end up destroying themselves as much as their victims. It is a portrait of the universal mass murderer. In the midst of the despair and the grief of the exhibition there is an element of hope. We Can Be Heroes, Richard Bell’s reworking of Emory Douglas’s iconic photograph, celebrates Peter Norman’s quiet moral courage at the 1968 Olympic Games when he chose to stand with Tommie Smith and John Carlos as they gave their black power salute. This counter narrative of decency is also a part of history, and it too should not be forgot. When silence falls is on display at the Art Gallery of New South Wales until 1 May 2016.